Lime Glory Giclee Canvas Print by Kimberly Hodges. 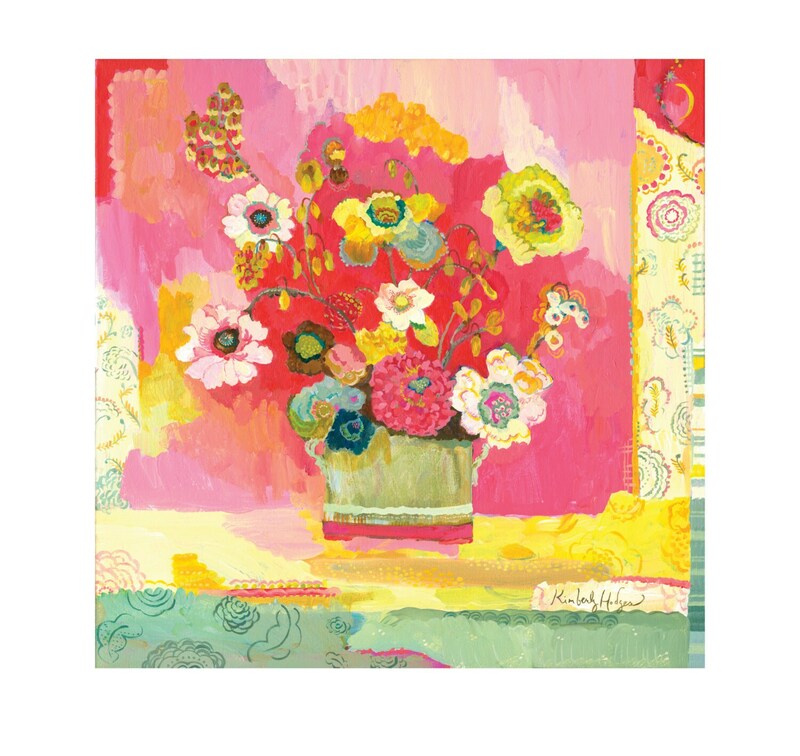 This is one of my more sophisticated flower paintings; there is breathing room and great vibrancy at the same time. It is available in 3 sizes and printed on watercolor paper with a 1" border all around. My giclees are printed on high quality acid free bright white watercolor paper using my Roland printer and Japanese archival inks made to last 200+ years. I have made several other flower prints with the square proportion that coordinate with each other so check them out in my prints section. If you are an international customer please write me to get an accurate shipping quote, I do generally respond within 24 hours.